The NSE Nifty closed with a gain of 11 points at 7,614. 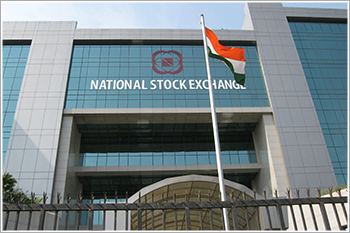 The NSE Nifty opened at 7,736 hitting a high of 7,639 and low of 7,592. The BSE Sensex ended with a gain of 17 points at 24,901. The BSE Sensex opened at 24,979 touched an intra-day high of 25,001 and low of 24,834. The India VIX (Volatility) index was down 2.72% to 17.3450. The Indian Rupee was trading down by 20 paise at 66.66 per US dollar. On the global front, China's Shanghai Composite index closed marginally down and Hang Seng up 0.15%. In Europe, the FTSE 100 up 0.56%. On the other hand, DAX gained 0.10% and the CAC 40 trading higher by 0.60%. Tata Steel, Hindalco, UltraTech Cement, ACC, Eicher Motors, Grasim and Tata MotorsDVR were among the gainers on NSE, whereas Bosch, Tech Mahindra, Infosys, Axis Bank, ICICI Bank, Adani Ports and Aurobindo Pharma were among the losers today. Out of 1,804stocks traded on the NSE, 470 declined and 1,080 advanced today. A total of 33 stock registered a fresh 52-week high in trades today, whereas 19 stocks touched a new 52-week low on the NSE. At 3:09 PM, the S&P BSE Sensex is trading at 24,907 up 24 points, while NSE Nifty is trading at 7,614 up 11 points. The BSE Mid-cap Index is trading up 0.61% at 10,576, whereas BSE Small-cap Index is trading up 0.86% at 10,637. Tata Steel, Tata Motors, Bharti Airtel, Hero MotoCorp, Lupin and BHEL are among the gainers, whereas Adani Ports, ICICI Bank, Axis Bank, Infosys and Cipla are losing sheen on BSE. Some buying activity is seen in metal, utilities, basic materials, telecom, auto and power sector, while IT, banking and pharma are showing weakness on BSE. The INDIA VIX is down 1.79% at 17.5100. Out of 1,802 stocks traded on the NSE, 487 declined,999 advanced and 316 remained unchanged today. A total of 26 stocks registered a fresh 52-week high in trades today, while 18 stocks touched a new 52-week low on the NSE. Bharat Forge slumped 4.7% to Rs.791 after the company said its north American class 8 truck orders down 37% from a year ago to 15,800 units. Class 8 trucks contributed 20 percent to total revenue of Bharat Forge. Airline stocks rallied on BSE after the government to scrap 5/20 rule, as per media reports. Jet Airways (India) Ltd is currently trading at Rs. 609.45, up by Rs. 14.9 or 2.51% from its previous closing of Rs. 594.55 on the BSE. The scrip opened at Rs. 599 and has touched a high and low of Rs. 612.8 and Rs. 599 respectively. So far 2937644(NSE+BSE) shares were traded on the counter. The current market cap of the company is Rs. 6754.09 crore. SpiceJet Ltd is currently trading at Rs. 69.85, up by Rs. 1.15 or 1.67% from its previous closing of Rs. 68.7 on the BSE. The scrip opened at Rs. 69.35 and has touched a high and low of Rs. 70.7 and Rs. 69.25 respectively. So far 4118478(NSE+BSE) shares were traded on the counter. The current market cap of the company is Rs. 4118.22 crore. Interglobe Aviation Ltd is currently trading at Rs. 982.25, up by Rs. 9.7 or 1% from its previous closing of Rs. 972.55 on the BSE. The scrip opened at Rs. 978 and has touched a high and low of Rs. 987.9 and Rs. 969.55 respectively. So far 715259(NSE+BSE) shares were traded on the counter. The current market cap of the company is Rs. 35046.48 crore. GM Breweries climbed 2.9% to Rs.1,056.50 after the company reported a net profit of Rs. 17.4 crore for the quarter ended March 31 compared to Rs.5.7 crore reported in the year-ago period. RPG Life Sciences jumped 6.5% to Rs.248.60 on BSE. The company has received GMP Certificate from Bavarian Authority, a competent authority in Germany, as per EUGMP standards for its formulation manufacturing facility in Gujarat. Delta Corp Ltd stock was higher by 6% at Rs. 74. The company has announced that the Government of Goa has granted permission to Delta Pleasure Cruise Company Private Limited, a wholly owned subsidiary of Delta to operate their vessel "M V ROYALE FLOTEL" in Mandovi River till an alternate feasible site is finalized by the Government or till March 31, 2017 whichever is earlier. Tata Steel Ltd stock was higher by 3% at Rs. 320.Workers at Jaguar Land Rover (JLR) warned Tata Group Chairman against a ‘fire sale’ of its UK steel business, saying that it wasn’t the responsible thing to do. HCC Ltd stock was higher by 4% at Rs. 20. ABG Shipyard Ltd has announced that a meeting of the Board of Directors of the Company will be held on April 08, 2016, to discuss general corporate issues, strategy for induction of Strategic Investor / Partner and authorize Monitoring Institution on behalf of CDR Lenders to appoint Investment Banker to identify a Strategic Investor / Partner etc. The stock is currently trading at Rs. 50, up by Rs. 2.05 or 4.28% from its previous closing of Rs. 47.95 on the BSE. Talwalkars Better Value Fitness zoomed 5% to Rs.209.30 on BSE. The company announced the launch of 33 Zorba - renaissance studios in 25 cities in India. Within four month of sealing their partnership, the Company has expanded the Zorba footprint in the yoga and wellness segment. JSW Energy slipped 3.5% to Rs.63.65.